After breakfast, proceed to Alappuzha and check-in to Backpack Holidays Deluxe houseboat. Feast your eyes on the “Venice of east”. 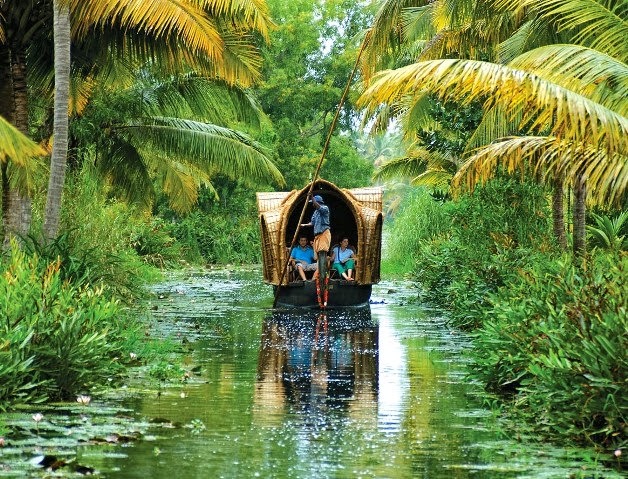 Cruise along slowly in intricate networks of canals (Kayals) passing through villages and paddy fields while digging into freshly cooked Kerala cusine. Night Stay in Backpack Holidays HouseBoat.